Earlier this week, Craig Luttman happened upon something quite unusual outside his home in Elkhorn, Nebraska. There, perched in a mass on the side of a pine tree, was a group of six young squirrels engaged in what appeared to be an awkward game of tug-of-war — but there was nothing fun about their predicament. 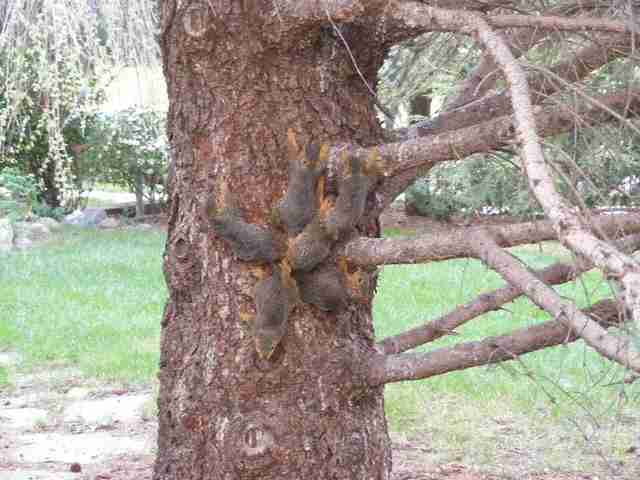 The squirrels had somehow gotten stuck together by their tails. Fearing the squirrels, evidently siblings from the same litter, wouldn't survive long in that state, Luttman called the Nebraska Humane Society (NHS) for assistance. Fortunately, since the animals' mobility was so encumbered, they remained within reach until help arrived. "Our responding animal control officer was able to safely gather them and bring them into NHS," a spokesperson told The Dodo. 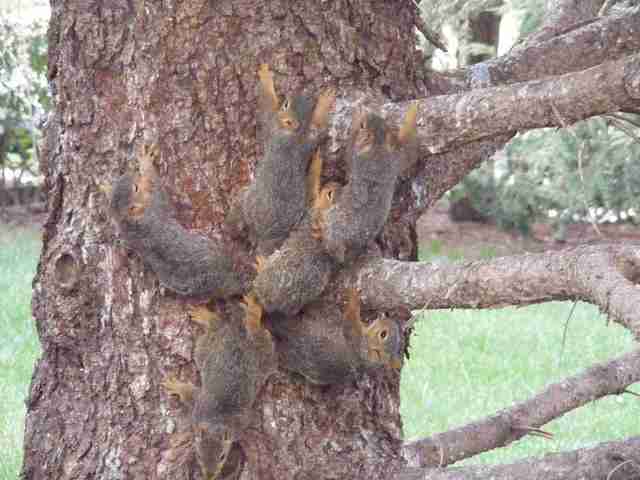 Afterward, the six squirrels were transferred to Nebraska Wildlife Rehab, Inc. The group's director, Laura Stastny, then spent the next hour or so carefully untangling the siblings, sparing them the inevitably grim fate that awaited them had they been left to try to survive knotted together. Turns out, as odd as the squirrels' predicament was, entanglements like this one are not unheard of. 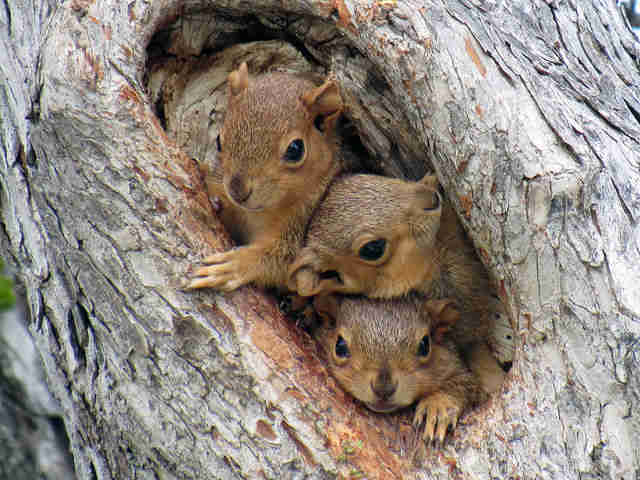 "Squirrel tails can get tangled when the kits [baby squirrels] are in the nest if the mom uses inappropriate bedding, like netting or string that she finds," the NHS spokesperson said. "It can also happen if the tree where the nest is located has lots of sap. In this case Laura thought that the sap content was the reason the tails got tangled." Thankfully, the squirrels have been freed from that sticky situation and are now recovering. In a few weeks, they should be healthy enough to be released — allowing them to carry on their sibling rivalry in a more natural manner. To follow along with more rescues like this one, or to support the group's lifesaving work, visit Nebraska Wildlife Rehab, Inc.'s website and follow them on Facebook.